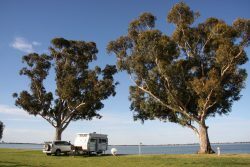 When I hooked up at Lake Bolga I found that both indicators did not work on both car and van, so I rang the RACV as I didn’t know here the fuses were (I now do). This is the fourth time that I have had issues with connecting the van and car in the last seven of so coupling ups. I did pull the plug on the van apart and fixed one dodgey connection while waiting for the RACV. They arrived from Swan Hill within 20 minutes, found the fuse, checked it and put it back and all was good. Apparently fuses can develop poor connection over time. The good thing about this is that I now know where the fuses are under the bonnet, I had thought they were all under the dash. The camp at Lake Boga was pleasant apart from the mozzies which were horrendous. After this delay, I headed north from Swan Hill through very flat country with lines of trees along creeks, billabongs and lagoons. When the VEE (Victorian Exploring Expedition) travelled through this area it was covered with mallee scrub but most of that has since been cleared. 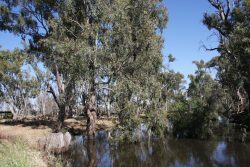 It was great to see all the billabong and creeks brimming with water. Camp 17 was on a creek near an out station (small house on the outskirts of a big station that houses workers used in the area), the creek was full unlike when the VEE camped here. 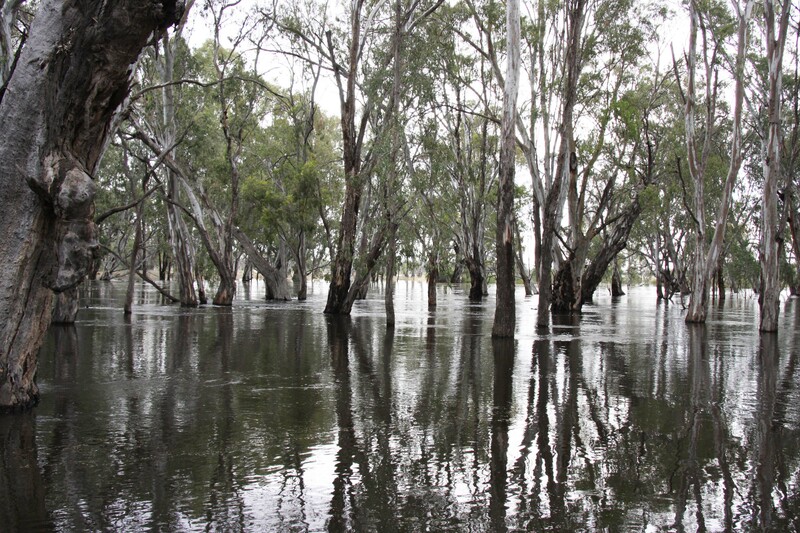 The Edwards branches off the Wakool river at camp 18 and starts on the Murray between Deniliquin and Echuca where we all camped one Novemeber, the Wakool ends on the Murray about 50 Km north of Swan Hill. Together they form an ana branch of the Murray. 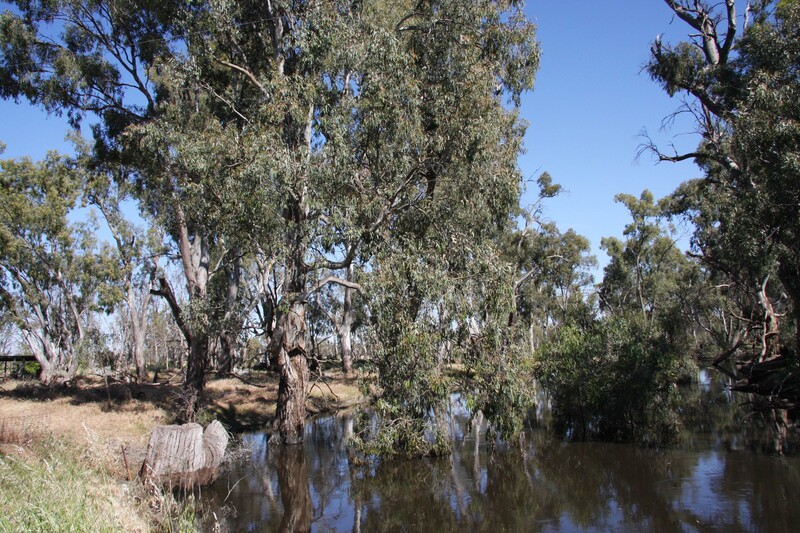 The photo is of the Wakool at Kyalite. 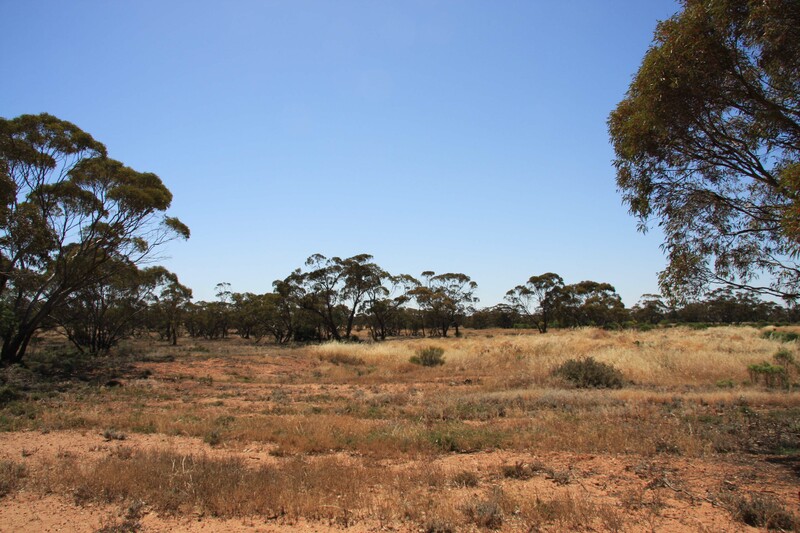 Camp 19 was on the plains in fairly nondescript mallee country. At the time of the VEE there would have been many more trees making travel more difficult. 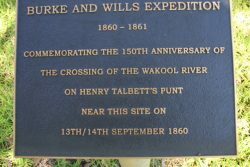 After the Wakool they had to cross tributaries of the Murrumbidgee which were flooded and up to four feet deep and soft mud, but they got through. At the Murrumbidgee it was Burke who upset the cameleer by trying to speed things up and overloading the punt. As a result some supplies were water damaged. But they did get across fairly quickly. 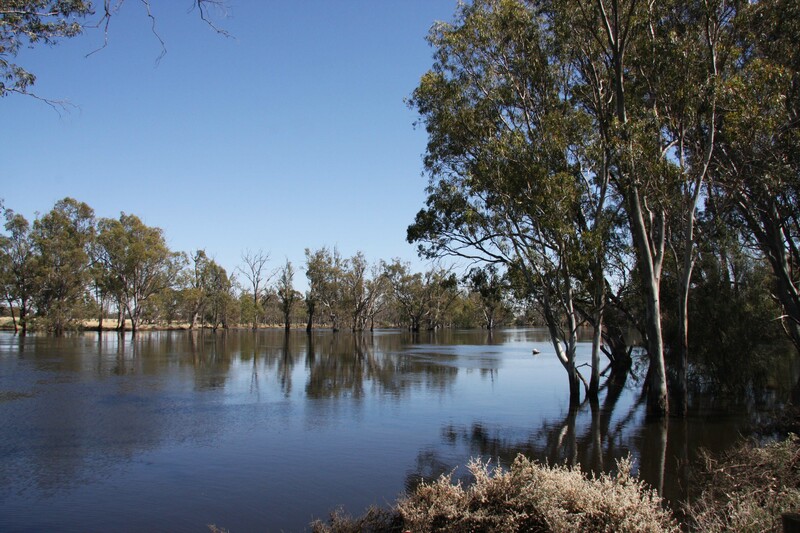 Camp 20 was on the south side of the Murrumbidgee at Balranald. Then there was a dispute with the people running the three hired wagons (the other three were owned by the VEE). The horses were used to fresh feed, but had had to eat hay and dry feed, so they were lacking condition. They demanded that the loads be reduced, which they did. The off loaded supplies were later sold at auction. Unfortunately they offloaded Lime juice which was to combat scurvy and that proved to be a problem later in the expedition. Vitamin C was not identified until 1907 and Becker, the VEE doctor, thought that the citric acid they retained would replace lime juice, but citric acid does not contain vitamin C. It is worth noting that the VEE were not carrying water, but relied on rivers, creeks and billabongs for their water, which so far had been sufficient. 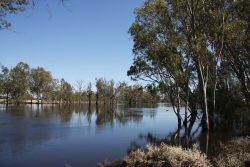 I booked into the Balranald Caravan Park and decided I could enjoy 3 nights at what is a lovely park right on the Murrumbidgee, and not many mosquitoes. Yanga NP is nearby and surprisingly I haven’t visited it as it is a new park only being opened in 2009. I visited the woolshed today and it was very interesting with 3 audio visual displays showing aspects of shearing. The footage was from the last shearing in 2005 when the station was acquired by NSWPWS. More of that in the next blog.